Taking aim at the perception that efforts to diversify the teaching profession are working, a new study by the Brookings Institution shows that the educator workforce is growing disproportionately white over time. The analysis, released last week, offers a counterintuitive finding since the educator workforce has become more diverse in recent years — a fact researchers from Brookings’s Brown Center on Education Policy don’t dispute. Roughly 20 percent of educators are now nonwhite, up from roughly 12 percent in the late 1980s. But as the American population becomes increasingly diverse, the share of nonwhite teachers has failed to keep pace with the racial demographics of America’s college-educated workforce, researchers found. Based on 25 years of Census Bureau data, researchers challenge the assertion that the profession has become more attractive to teachers of color. The finding is concerning since the diversity of teachers has failed to keep pace with the racial makeup of the students in their classrooms, said report co-author Michael Hansen, a senior fellow at Brookings and director of the Brown Center. Previous research has found that students tend to perform better in school when they have a teacher who shares their race or ethnicity. 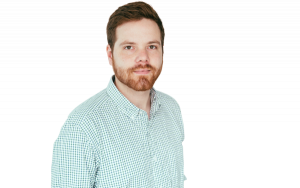 “The biggest red flag to me, at least, is the mounting evidence on the value of having same-race teachers at least sometime within your trajectory,” he said. The latest report is part of a larger series at Brookings exploring the racial diversity of teachers. In a previous report, researchers found that racial segregation among educators is actually starker than it is for students. That’s because educators of color are typically steered to schools with high-minority student populations. In the latest analysis, researchers found that part of the diversity problem falls on millennials. 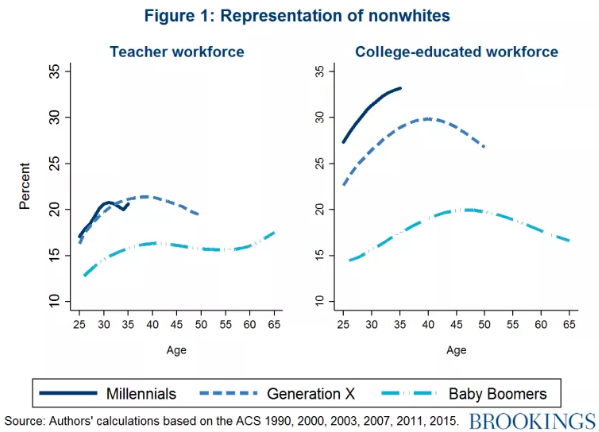 Though millennials are more racially diverse than older generations, whites make up a larger share of young teachers than they do baby boomer and Gen X educators. It’s possible the diversity of millennial educators could grow over time. Across generations, researchers found that teachers are less diverse when they’re young but demographics shift as they age. Among older generations, teacher diversity appears to peak among educators in their late 30s and early 40s. 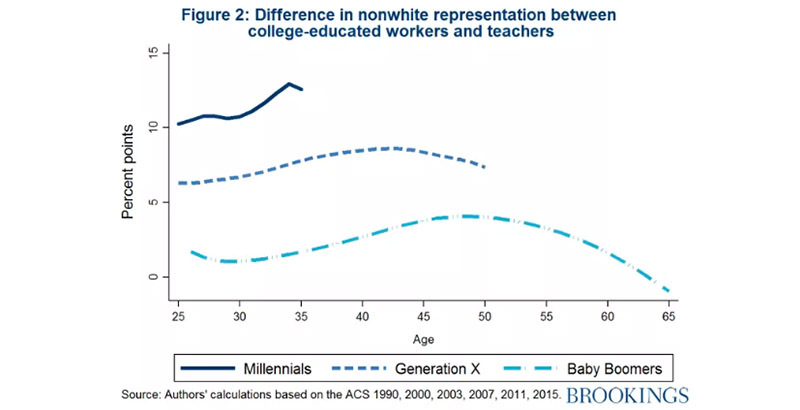 One possible explanation is that nonwhite groups tend to graduate from college later in life and therefore enter the teaching profession when they’re older. But the racial diversity of millennial teachers is “virtually identical” to the diversity of older generations when they were younger, researchers found. Though the report argues that efforts to diversify the educator workforce appear to have fallen flat, it doesn’t offer potential solutions. Hansen, however, offered a few thoughts. Though the topic remains hotly debated, he noted that applicants of color are less likely to pass teacher licensure exams, posing a roadblock for those trying to join the profession. Though the exams are race-blind, he said it’s possible they have a disparate impact on nonwhites. “I think it raises some important questions about their validity,” Hansen said of the tests. “We need to unpack what is behind” the disparities and whether the tests are working as intended.